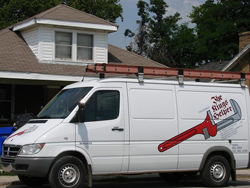 Honesty and integrity is the basis of our company and it is reflected in the technicians that we employ to solve all your plumbing and HVAC emergencies. 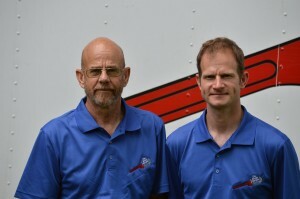 The King’s Helper out of Lexington, KY offers plumbing, heating and air conditioning services. We provide professional services in all aspects of plumbing installations and maintenance repairs within both the Residential and Commercial property markets. All of our professionals are committed to providing you with excellent products and outstanding workmanship whether we are simply fixing a leak or upgrading all of your kitchen. The King’s Helper is an experienced company focused on customer satisfaction. We have served the Lexington, Kentucky and surrounding counties for more than 30 years. We will evaluate of the problem and discuss with the customer before we ever start working. We have a simple pricing system, and no hidden costs. Tom Riesbeck comes from a long line of plu mbers. He worked with his father as a plumber before leaving for the Vietnam War, while there he also plumbed hospitals, water towers, and various other projects. Over many years he has accrued a vast knowledge in all aspects of the trades. He holds a Masters license in plumbing and HVAC. He also holds a boilers license. Jonathan Riesbeck of course grew up around the trade and has worked with Tom and in the industry for more than 15 years. He holds a Journeyman license in plumbing and HVAC. Above all, our desire is to provide the best service to all of our customers. Honesty and integrity is central to our company. At the Kings Helper we believe the customer should be put first and foremost throughout the entire process. Whether it is a service call for a drippy faucet, or an expansive plumbing and HVAC remodeling project, our goal is to satisfy the customer. We will go out of our way to maintain the cleanliness of your home no matter how daunting the task may seem.